In January 2019, FDA Commissioner Scott Gottlieb confirmed through a series of tweets and other statements that manufacturers should expect FDA inspections of generic drug plants to increase and become more thorough throughout the year as part of an effort to implement its "risk-based" inspection model. In addition, more stringent chemical testing will be implemented to detect potential impurities that may not be detectable under current routine good manufacturing practice (GMP) inspections. In prior statements, Gottlieb has said the formula powering its risk-based model is sophisticated enough to account for changing points of risk based on supply chain changes. According to the CDER's recently released Manual of Policies and Procedures or MAPP, other factors of the risk-based inspection formula include type of manufacturing site [e.g., manufacturer, packager, control lab, etc. ], time since the last surveillance inspection history of compliance, history of inspections conducted by recognized foreign regulatory authorities, patient exposure, hazard signals, and inherent product risk. In reference to a broader ongoing effort to lower drug prices by stepping up generic drug approvals, Gottlieb called attention to the fact that while pre-approval inspections are outpacing surveillance inspections, the distinction between the two isn't so clear. “New drugs and drugs on market are often made at same sites. So when FDA goes in and inspects a facility for a new product launch, it's also getting a good look at the whole facility, which can address issues associated with all the other product lines being produced in that same manufacturing site," Gottlieb said in a tweet. These statements were further supported by FDA's FY17 GDUFA Performance Report, which put the total number of generic manufacturing plant inspections up nearly 20% compared to the year before (714 vs. 578). These developments come in light of a massive global recall of "sartan" heart pressure medications that began last year when a U.S. drug manufacturer using an affected API manufactured by China’s Zhejiang Huahai Pharmaceutical tested it and discovered a potentially carcinogenic impurity. Since issuing a warning letter to the company, the agency discovered that other manufacturers had made similar process changes in developing the drug and also had contaminants in their APIs. Gottlieb said the subtle issues that led to the impurities in the heart pressure drugs were not likely to have been discovered on a routine FDA good manufacturing practice (GMP) inspection. "One challenge we’ve faced is that NDMA’s properties make it hard to detect in standard laboratory testing – the kind of testing results that are reviewed during a surveillance inspection. In St. Louis, the FDA maintains one of the most advanced pharmaceutical laboratories of any regulatory agency in the world. As soon as we became aware of the presence of nitrosamine impurities in certain ARB medicines, we began collecting samples of all ARB API and medicines marketed in the U.S. to test these products specifically for NDMA. 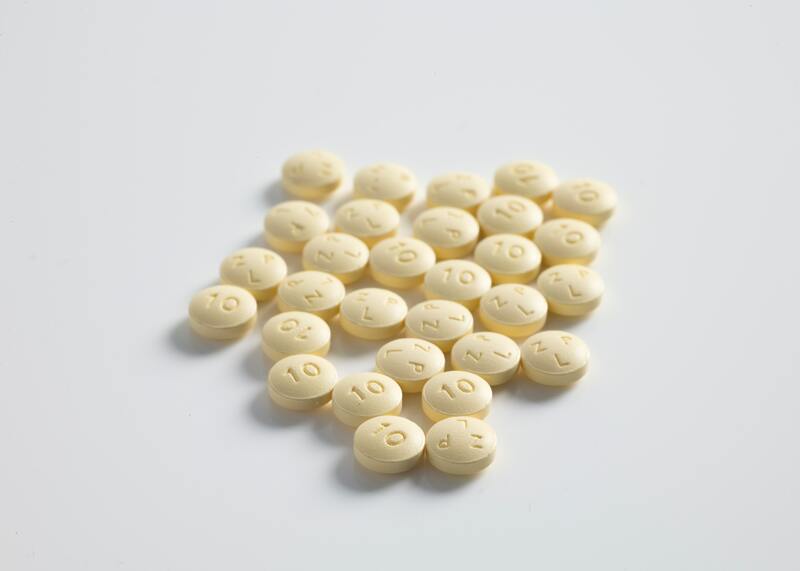 More testing found NDEA, also a probable human carcinogen, in other valsartan products and other ARBs from different manufacturers." As a result, the agency says it has developed several testing methods for detecting and quantifying the impurities, and that such testing will become a standard part of future oversight. "During this time, our scientists have developed and refined novel and sophisticated testing methods specifically designed to detect and quantify the NDMA and NDEA in all ARB medicines. We’ve shared these tests on our website to help manufacturers and other regulators evaluate these products as well. To determine if ARB medicines contain these impurities, FDA scientists developed three testing methods. These include the (GC/MS) headspace method, the combined headspace method, and the combined direct injection method. These testing methods can be used for evaluating both drug substances (API) and finished drug products." Gottlieb suggested that in an increasingly complex and risky global manufacturing space, drug manufacturers should expect more vigilance to detect chemical problems, adding that the FDA has, and continues to, invest “heavily in building a large cadre of organic chemists and other experts” to reflect growing risks. "The potential for the development of genotoxic impurities during manufacturing processes is an area of intense focus. We’ll continue to improve our science and standards for detecting and preventing these risks." In response to FDA's specific changes to safeguarding against carcinogenic risk, as well as genotoxic impurities more broadly, manufacturers should first review FDA's March 2018 guidance laying out risk assessments for evaluating the presence of genotoxic impurities. The FDA has explicitly reminded manufacturers that they review information on impurity testing in product applications and when inspecting facilities, and as such, manufacturers must test for known impurities during their manufacturing processes. "We review information about potential impurities that can occur during manufacturing in applications, including requests that sponsors submit to change some aspects of the manufacturing process, which could create new risks. Specifically, our chemists review applications and referenced information to look for steps and changes where risks could be introduced. To implement a risk assessment for any genotoxic impurity, there must be recognition that it can occur in a product’s manufacturing. 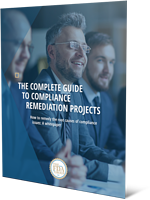 The guidance lays out the conditions under which these risks can occur and steps that manufacturers should take to test for these potential impurities. Now that we’ve uncovered the risk of nitrosamine impurities in the manufacturing steps involved in ARBs, we’ll incorporate the findings into ongoing policy development. In addition to our policy work, the FDA inspects manufacturing facilities worldwide. Generally during CGMP inspections, we review the records that manufacturers must maintain regarding required impurity testing. However, the impact of this record review depends on manufacturers conducting appropriate tests that are capable of detecting the impurity. Tests are selected based on assessments of what impurities may develop as a result of the manufacturing process. In other words, it generally needs to be recognized that there’s a risk of an impurity occurring as a result of a manufacturing process to know the impurity should be tested for." Drug manufacturers should carefully consider their own processes and procedures and state of inspection readiness within the context of the assessment guidelines and work with an experienced regulatory compliance professional to conduct a comprehensive audit and gap assessment and any required remediation to ensure a complete state of compliance. Contact us today to learn how we can pair you with the industry's top regulatory compliance specialists to evaluate your systems and bring you into a fully complaint state. 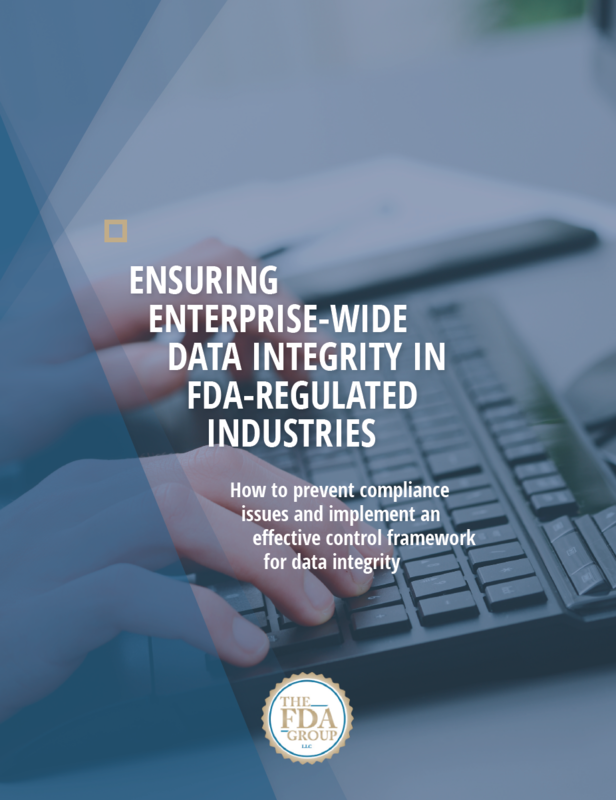 Learn more about our auditing services and grab our free white paper, Ensuring Enterprise-Wide Data Integrity in FDA-Regulated Industries, a step-by-step process for integrating an effective control framework for data integrity.